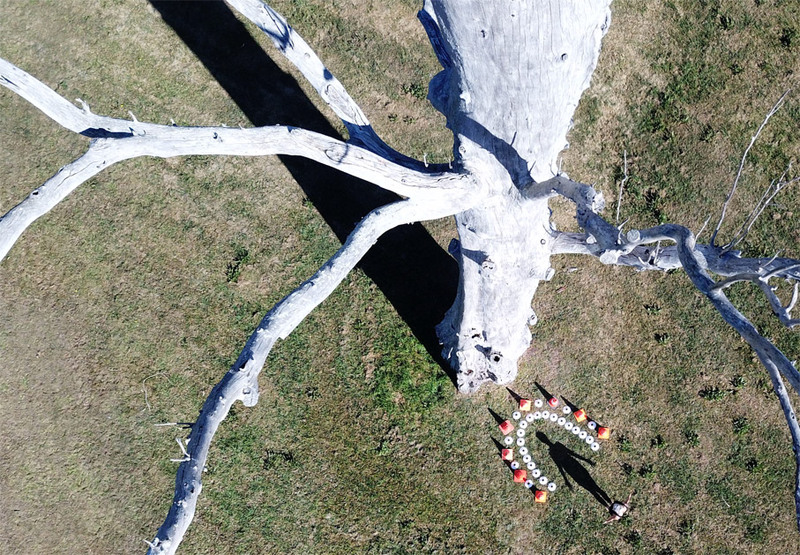 Already Occupied is an ongoing art project by Quandamooka artist Libby Harward which asserts Aboriginal sovereignty through temporary installations on Country. Using hi-vis and everyday traffic signage, Harward employs humour, language and materiality to spark conversations about Country and her connection to it. This exhibition brings together Harward’s new site-specific makings, sound and documentation of ephemeral earth installations. Exploring the relationship between exploited land and the material from which colonialism is constructed she turns tools of occupation into a vocabulary of resistance. Image: Libby Harward, Already Occupied series – Burial 2018, still image. Courtesy of the artist. Still from drone footage by Micah Ruedin.